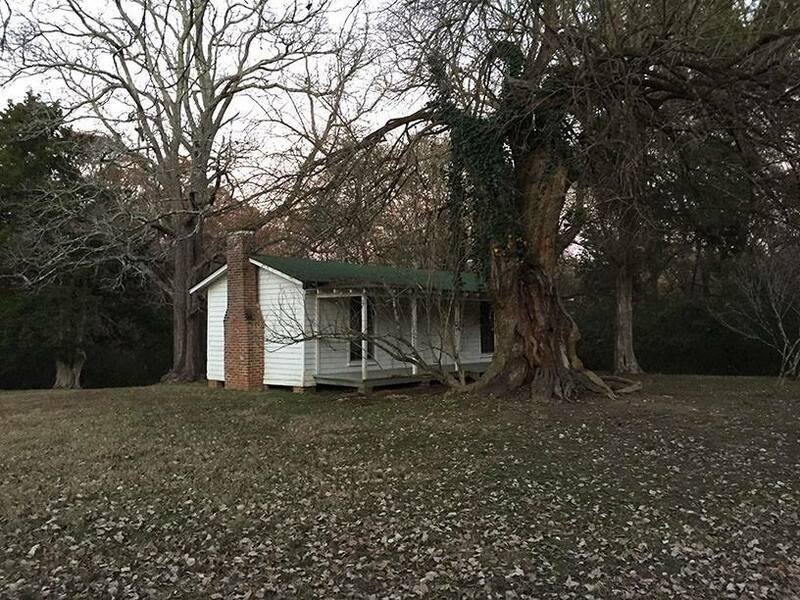 Jillian Galle, project director of the Digital Archaeological Archive of Comparative Slavery (DAACS) at Monticello, worked with Maureen Meyers, assistant professor of anthropology, Tony Boudreaux, associate professor of anthropology and director of the Center for Archaeological Research, and the University of Mississippi Slavery Research Group on their new archaeological project at Rowan Oak in November 2016. The collaboration with the DAACS began last winter when Lynsey Bates and Beth Bollwerk spent several days introducing the Slavery Research Group to DAACS. Jillian Galle (left) and Maureen Siewert Meyers check out an excavation unit outside of the Caroline Barr House at Rowan Oak. 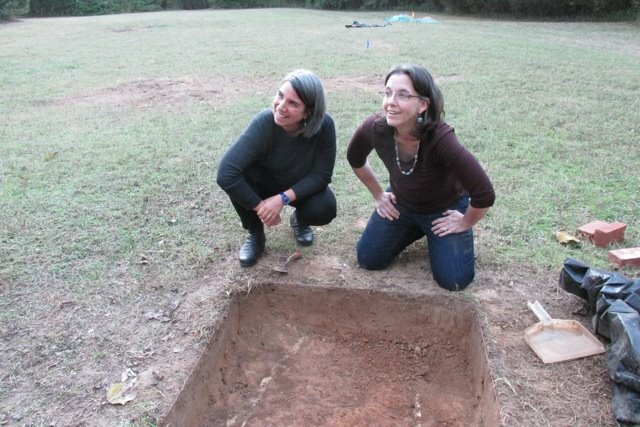 Since then, Dr. Meyers and Dr. Boudreaux have taught a public archaeology class that initiated excavations around an antebellum kitchen and slave quarter associated with Colonel Robert Sheegog’s antebellum occupation of the property currently known as Rowan Oak. 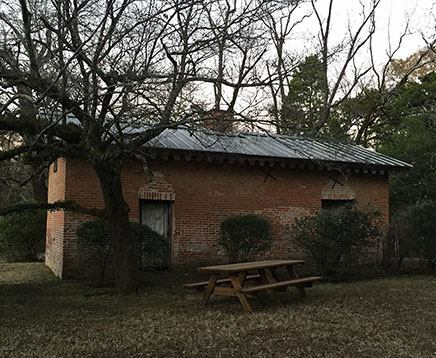 Excavation units were also opened up around the Caroline Barr House, a two-unit frame dwelling constructed for Barr around the time William Faulkner purchased the property in 1930. We anticipate that the materials from the excavations at the Sheegog Kitchen and Caroline Barr House will be available via DAACS within the coming year. Photographs and information courtesy of DAACS Facebook.